Highly accessible and relevant in today's economic environment, Economic Issues Today provides a unique approach to understanding what the practice of economics is all about. Fifteen issues are covered, providing for each an analysis from three different economic perspectives: Conservative, Liberal, and Radical. Authors Carson,Thomas,and Hecht have again combined their efforts to produce a thoroughly revised and updated book. Economic Issues Today is also available in separate volumes: Microeconomic Issues Today and Macroeconomic Issues Today. 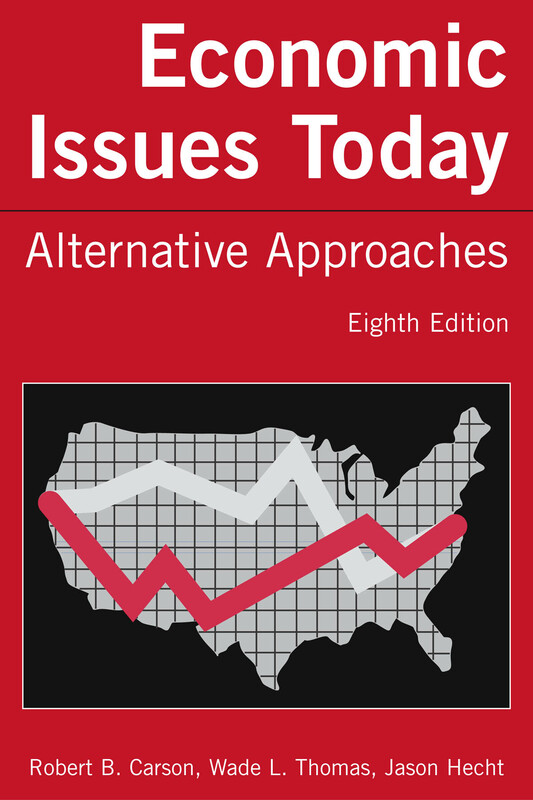 Like all its predecessors, Economic Issues Today, Eighth Edition is written specifically for the undergraduate audience; it requires no background in economic analysis and avoids economic jargon in favor of plain everyday language. New Feature! How instructors can use Economic Issues Today in conjunction with their favorite principles of economics text! Click here for a convenient correlation grid relating the chapters of Economic Issues Today to the chapters and content of leading principles of economics texts. Instructors' Download Center! It's Free! Instructors using Economic Issues Today can download PowerPoint color slides of figures from Economic Issues Today for classroom use. Click here for the menu of choices. Publication Date: March 2005 M.E. Sharpe, Inc.